I made this dish for a raw potluck this weekend. There are plenty of cheap organic zucchini and tomatoes at the Victoria Street farmers market in Wellington now that it’s near the end of summer. I also picked up the basil there for the pesto. All the classic italian flavours are there which makes this a favourite for friends and family who are not raw. 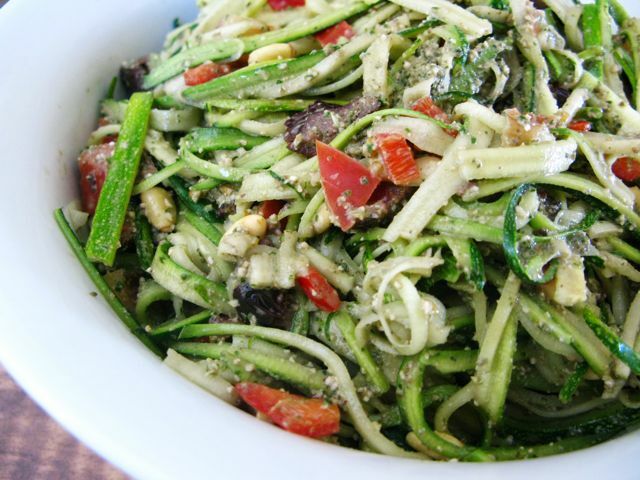 You can make a big batch of pesto up to keep for the week and just do the zucchini on the night.